In May 2011, I traveled to Nairobi for a concert at the invitation of March Forth Kenya Kids, a Kenya-based NGO. This was a few years after the post-election violence of 2007, which made headlines around the world. One day on my way to rehearsals, I got trapped in a pandemonium in the middle of the city where a sea of people and cars were fleeing from a disturbance that turned out to be a protest march by the students of the University of Nairobi. This incident reminded me of the scars the last elections had left in its wake — a tense state of fear, ethnic distrust and a fragile security environment. This also brought to mind the experiences in other African countries like Cote D’Ivoire, Liberia and Sierra Leone where political violence and experiments in democracy had resulted in all out war. As a musician and peace activist, my personal resolve was to do whatever I could to contribute to the peace-building process. My first instinct was to write a song based on this experience. “ Nairobi I love You,” a feel good song that stressed on common identity was the result. The real opportunity to participate in the Kenyan peace process happened in late November 2012 when I went back to Nairobi to film the video for this song (courtesy of The Good Makers) which was a few months prior to the recent elections of March 4th, 2013. I was invited by Kenya Red Cross Goodwill Ambassador and PR Maverick, Gina Din Kiriuki and Red Cross Kenya President Abass Gullet to participate in the Chagua Peace Initiative, an innovative multimedia approach to peace-building. This campaign organized all the Presidential candidates, prominent musicians and the general public to use music, terrestrial media and social media to create a groundswell of peace messages. The initial build up involved, all the presidential candidates signing a public document affirming their commitment to peace, which was immediately photographed and distributed through social media networks, while musicians including myself recorded PSA’s and promoted the peace concert that was scheduled a few days prior to the elections at the historic Uhuru Park. During this period, I launched the video for “Nairobi I Love You” to further contribute to the call for peace. The Chagua Peace Campaign culminated in a massive televised peace concert at Uhuru Park on March 2nd which featured myself, Eric Wainaina, Juliani, Nameless and a who is who of Kenyan society. 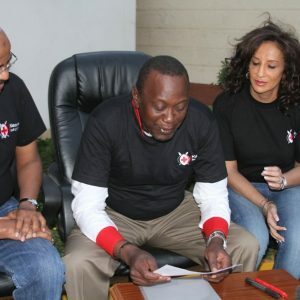 Red Cross Kenya President Abbass Gullett, Kenyan President Uhuru Kenyatta, Red Cross Kenya Goodwill Ambassador Gina Din-Kiriuki signing Chagua Peace Initiative. I traveled to Ghana right after the peace concert. 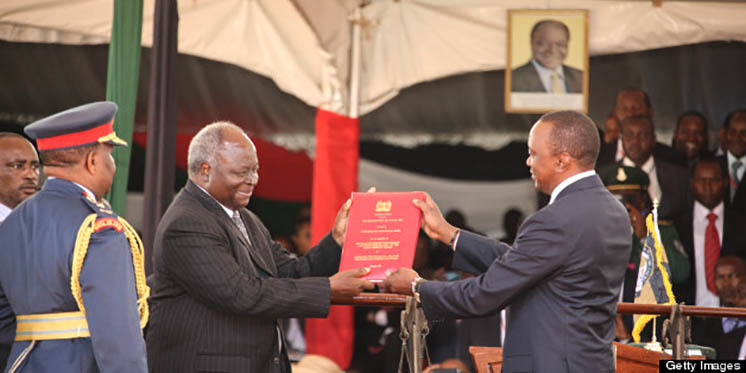 The March 4 elections results were contested and referred to the Supreme Court of Kenya. I returned to Nairobi on the day after the Supreme Court rulling and was there to witness an amazing calm and a new era in Kenyan democracy. There were many other peace initiatives and campaigns, other than the Chagua Peace Campaign across Kenya, by Kenyans themselves that contributed to the current state of peace in the country. I was thankful to witness this collective courage of a country to take a bold step from its past experiences. It filled me with a sense of hope that Africa’s march to democracy has entered a new phase where the strengthening of institutions such as the judiciary, will be an arbiter in times of conflict and gradually create a democratic brand that is free, fair, transparent and truly African.